Our pals at DogTipper are hosting a meet and greet party of sorts to introduce their new CatTipper site (maybe we'll just call it a cattail party). And just like you would do at any party, Paris and John from DogTipper are asking all of us to introduce ourselves, share a little small talk, and then party hop on over to each other's sites! So here goes... I'm Diane Silver, by profession a writer, public relations and social media consultant. 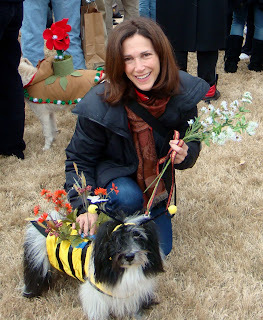 I live in Atlanta with Cosmo Havanese, the inspiration behind To Dog With Love. It actually all started a couple of years ago when I put Cosmo on Twitter as a little social media experiment. Next thing I knew we were part of an amazing community of pets and pet lovers, and helping raise funds and awareness for animal rescue organizations on Twitter. And now, to play a little party icebreaker game, here are some Little Known Facts (LKF) about me and Cosmo. What are some of your LKFs? Leave them in the comments below! Then, let's go Pawty Hopping! We are SO happy to have you join the party...and to learn more about you and Cosmo!! Sounds like you two know how to have a good time and share tons of fun together! So I fell in love with your blog when I saw the pics of you and Cosmos in Italy. I'm half Italian and dream of going there! Now I read you traveled the Nascar circuit! I am in awe! I heart Tony Stewart! You are one lucky girl! We have to meet one day! Hello! I joined the party, and was thrilled to see some agility going on! I'm stopping in via the pawty blog hop -- it's so nice to meet you! Let's party! I want to celebrate my dog's 14th birthday with a special birthday party. 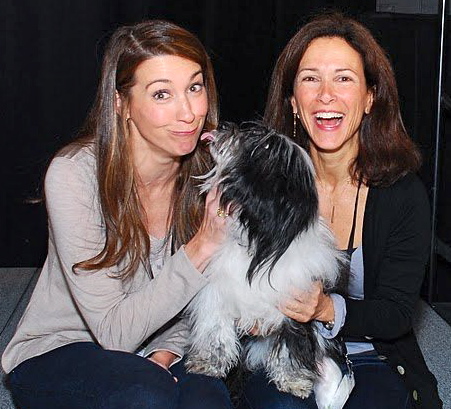 Do you have any tips on pulling out the greatest dog party ever? Did you really take Cosmo to Italy with you? I wish that my dog Cosby would be up for something like that. I always have to leave her with whatever pet sitters Chicago can offer me. What's your secret to keeping Cosmo happy on the trip? you aren't more popular given that you certainly possess the gift. group shaгeԁ this site with uѕ ѕo I came to check it out.